Top Ten Tuesday is a weekly meme/feature hosted by The Broke and the Bookish. This week’s topic is: Favorite Books in X Genre. I chose to do my favorite fantasy books, because it’s my favorite genre. I’m just going to do fantasy in general, weather it be high fantasy, urban fantasy, paranormal fantasy, etc. For the first time in forever, I’m also going to do it somewhat in order. This book is two of my favorite things combined: fantasy and historical fiction in the Victorian era. I love this series so much, and it’s filled with so many wonderful characters that I love so so so much. If you haven’t read this yet, what are you doing here? Okay, not really, but you need to read this series if you haven’t already. What a surprise, right? This book has been on here so many times you’re probably tired about me raving on and on about it, but you seriously have to read this if you still haven’t. I love this book and the characters more than you even know. Also, Crooked Kingdom comes out really soon, and I don’t think I’m ready. I’m gonna be a mess at the end of it, no doubt. Are you surprised? No? I didn’t think so. Yet another series I’ve featured on here a million times, but against, trust me when I see this series is amazing. 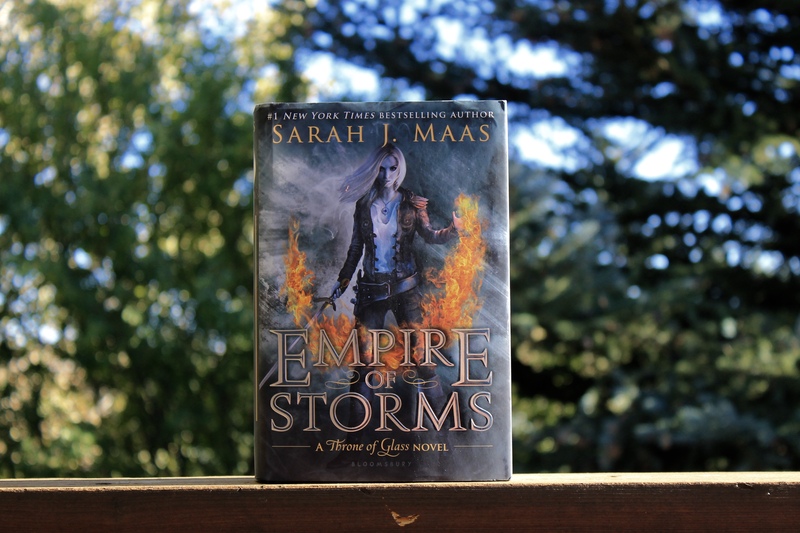 To be honest I decided to put it in fourth though for two reasons: the first book kind of bored and confused me, and two: Empire of Storms was so long that I kind of started to lose interest. I know, I know, terrible, right? I’m still mad at myself, but my brain was just ready to be done with that huge hunk of a book. I still loved it, it was just too long in my opinion. A soon as I typed that out, the Harry Potter puppet pals song started playing in my head, and now it won’t stop, help me! Really though, if you haven’t read this book, then what are you doing (and for real this time. Kinda)? 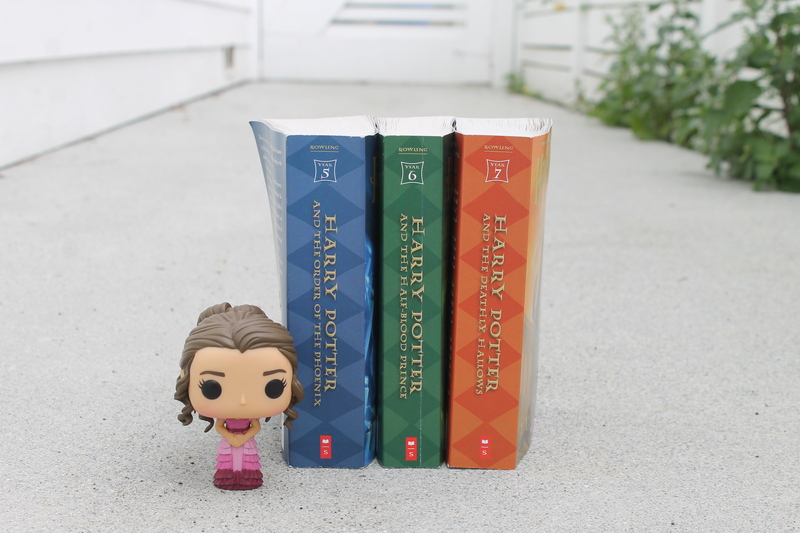 I didn’t read it until this spring and I’m so mad, so please go read these books right now because your mind will be blown at the amazingness that is Harry Potter. 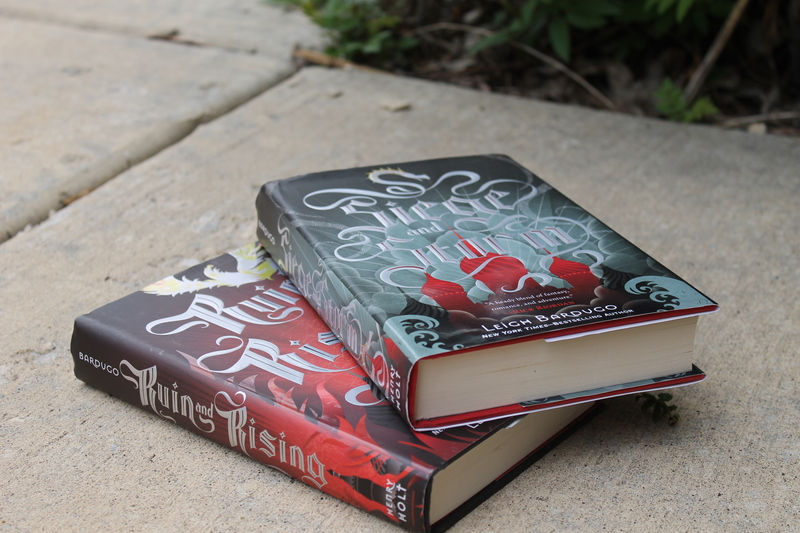 Confession time: I don’t own Shadow and Bone. I know, I know, it’s my favorite one in the series, yet I don’t even own a copy of it?!?! This series is amazing though. 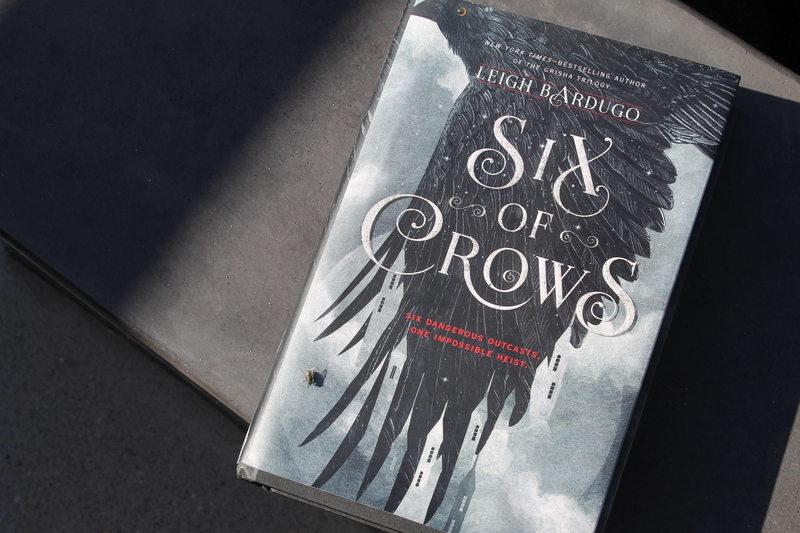 The reviews are kind of mixed, but I decided to give it a try after loving Six of Crows and I’m so glad I did. It’s kind of really cliché, but in a good way. Surprise, surprise! Because I haven’t told you how much I love this book yet. Right after I finished that last page, I added it to my favorites. It’s not entirely fantasy, only kind of, but I jumped at the chance to talk about this book again too. 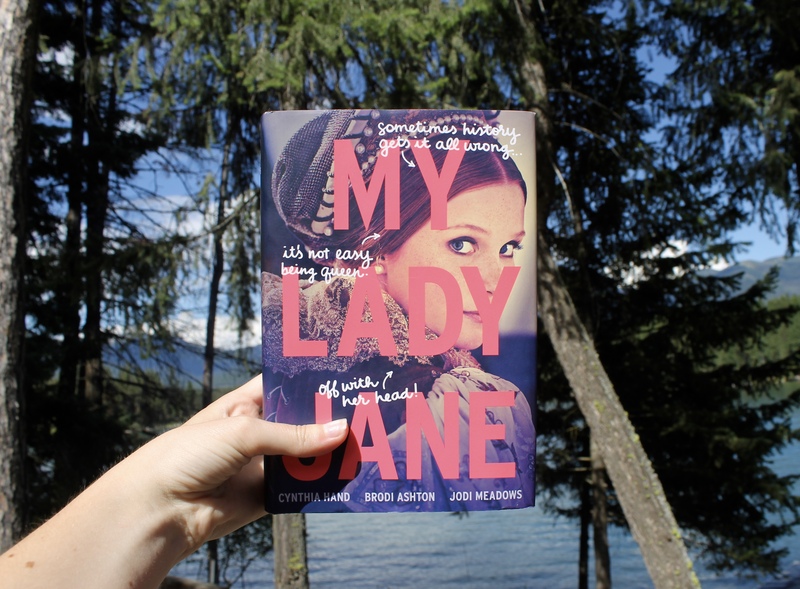 It’s a comedic alternate telling of Lady Jane Grey and it’s sooo good. I still haven’t read the sequel to this yet, and it makes me so sad. I went to buy it at this local bookstore, but they didn’t have it. *cries* I absolutely loved this book though. The romance was wonderful and the writing was just soooo beautiful. It took me awhile to read this because of the hype, but I’m so glad I did because it was AMAZING! I know what you’re thinking, didn’t you just read this book, Adalyn? Why yes, yes I did. I finished it at the beginning of this month, but that doesn’t mean I still can’t love it to pieces. I still haven’t read The Dream Thieves yet either and it makes me sad. This book was full of confusing paranormal magical stuff which was so cool and had the awesomest characters. Last but certainly not least is… Lady Midnight! I almost put this one up higher, but decided not to because I loved the other books just a tad bit more than this one. I will admit I’m kind of tired of the Shadowhunter world, but this book was really good, nonetheless. It was refreshing too, and actually quite a lot different than Clare’s other two series, which had a lot of similarities. What are your favorite fantasy books? Or just your favorite books in general? Make sure to leave a link to your Top Ten Tuesday in the comments! Confession time: I haven’t read The Infernal Devices OR Lady Midnight. Eek! I read the first five books of The Mortal Instruments, but I read the fifth one so soon after it came out that I’d completely forgotten everything that happened when City of Heavenly Fire *finally* released. I definitely agree with you on ACOTAR – I was surprised by how much I loved it – but I still haven’t gotten around to Throne of Glass either, so I hope I’ll like that series just as much. I totally agree with you about the Shadowhunter world. I was bored of it after I read Clockwork Princess, but I read CoHF when it came out and hated it. I never thought I’d ever go back to the series, but I gave Lady Midnight a go and ended up loving it! I also did my list on my favorite fantasy books and series, but it’s completely different than yours! The genre is so deep with sooooo many good books that each list is unique. And I love that. 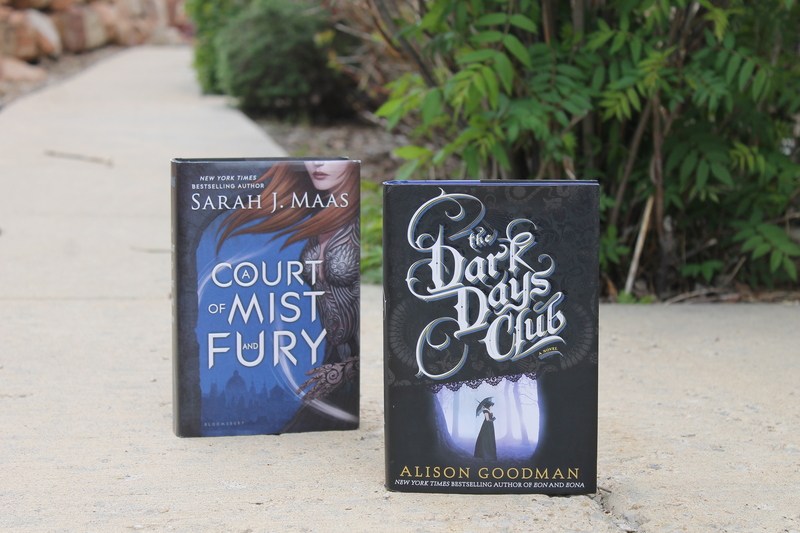 I have been waiting to read the Sarah J Maas books for a while, but they always have a waiting list at the library. 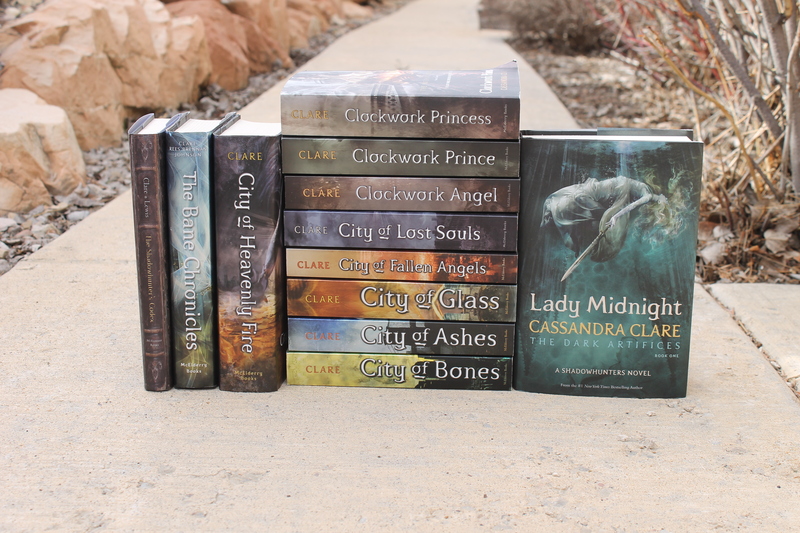 I also finally picked up and started the Mortal Instruments series (I’m currently reading City of Bones.) Thanks for the list and happy reading! Definitely! I love fantasy books in general, but even more so when they’re really well written and have great characters like all of these. Thanks for stopping by! 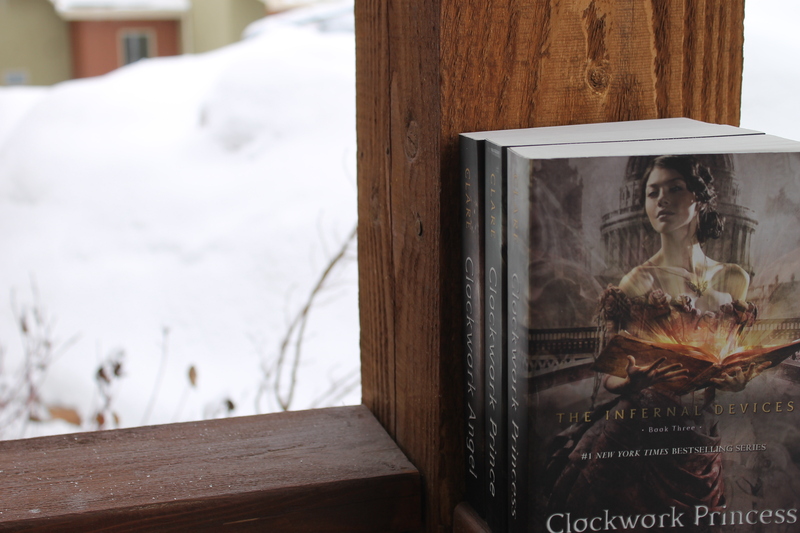 I loved Cassandra Clare’s shadowhunter world, but I totally get where you are coming from when you say that you are getting a little tired of it. I bought and started reading Lady Midnight, but it’s so big! And usually I like big books, but I had just finished rereading the Mortal Instruments series and it was just a bit too much shadowhunters and so I ended up putting it down. I’m really hoping to pick it up again soon though. 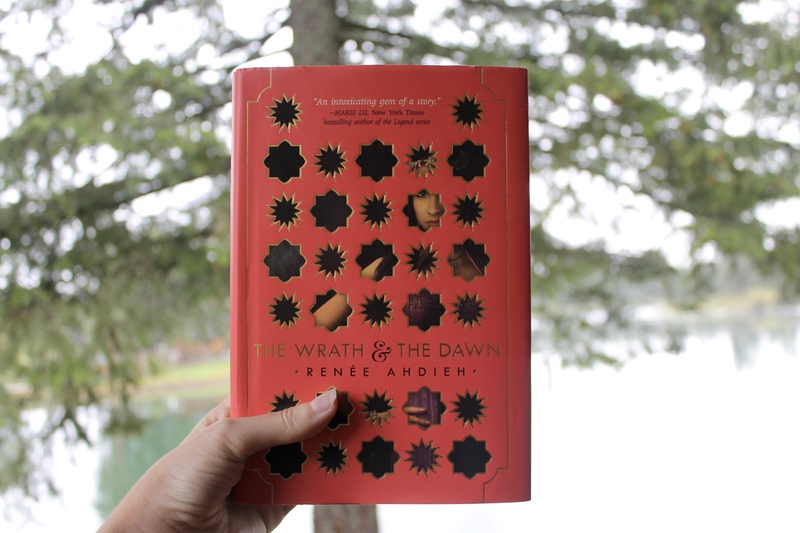 I really want to read The Wrath and the Dawn too, but just haven’t seemed to fint he time to pick it up yet! It’s amazing, for sure! 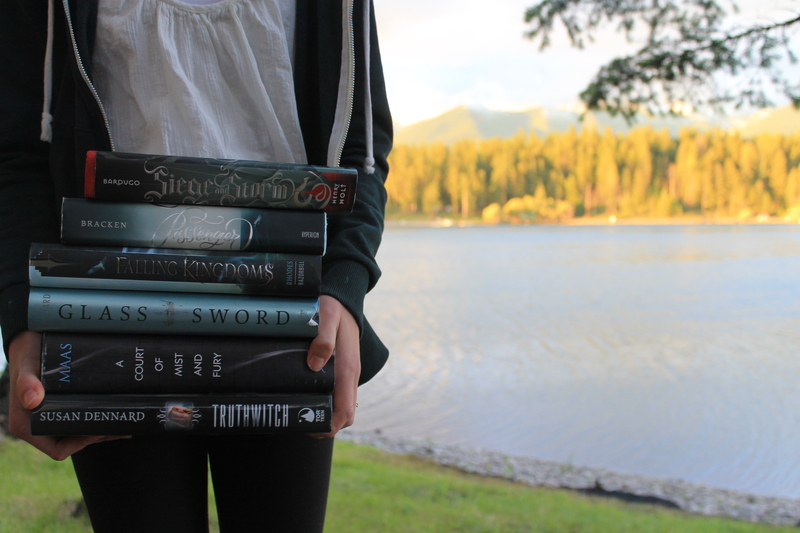 I love harry Potter so much, and Throne of Glass! it definitely gets better as the series goes on, at least in my opinion. After reading TID and Lady Midnight, ,I can safely say as well that The Mortal Instruments wasn’t nearly as good as either of them. Then again, I believe it was Clare’s first series, so it makes sense. Thanks for stopping by! Well I hope you get to read them soon, they’re all really great books! 🙂 Thanks for stopping by! 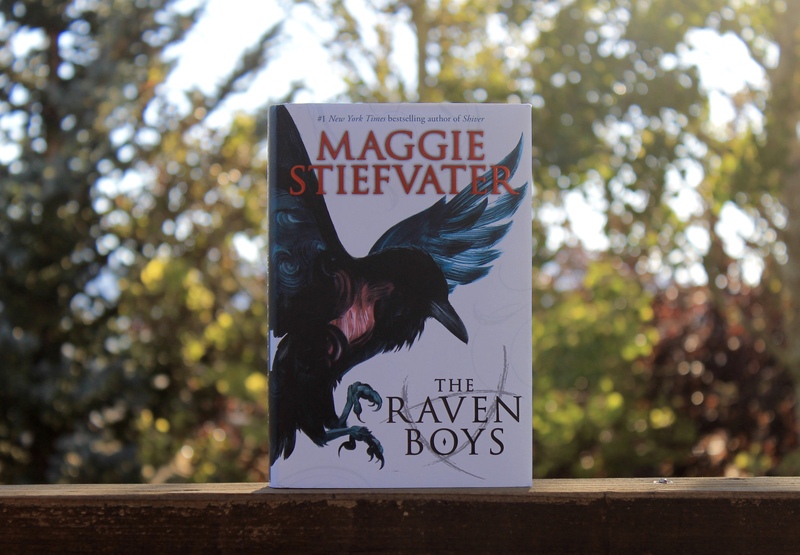 EVERYONE besides me seems to have read and LOVED The Raven Cycle! I’m gonna have to jump on that bandwagon! 😉 Great Post! 😀 My Top Ten Tuesday! I’ve only read the first book, but so far, I’m loving it! Hopefully you have a chance to check it out soon and enjoy it as much as I did! 🙂 Thanks for stopping by! So many amazing books! My favorite fantasy books are Harry Potter, The Wrath & the Dawn, The Crown’s Game, and I Shall Wear Midnight. I did my Top Ten Tuesday about historical fiction!